The High North Hero Award is an annual award established by the High North Center for Business and Governance to honor a person, organization or company who has contributed to highlighting or developing the High North during the past year. Every year, the public is invited to nominate candidates that have contributed to highlighting the importance of the High North. The High North Hero Award is given out every year in connection with the High North Dialogue Conference in Bodø. The first ever High North Hero Award was awarded in 2016. The prize consists of a diploma and 50 000 NOK (equivalent to approximately USD 6 000). Call for nominations for the High North Hero 2020. Citizens from any country in the world are eligible to nominate candidates for the prize and to win the prize. You may nominate an individual, a company or an organization that meets at least one of the criteria below. There is no requirement that the nominee is from the Arctic or resides in the Arctic; the intention of the Award is to highlight the efforts of a man, woman or organization whose work has a positive impact in the circumpolar north. Self-nominations are also accepted. The nominee’s name, organizational affiliation, and contact information. A short text (maximum 200 words) explaining why the nominee is worthy of consideration for the prize, explaining the nominee’s significant contributions to encouraging High North development. The nominee has significantly contributed to the development of business in the High North or knowledge about business opportunities in the High North. The nominee has significantly contributed to new knowledge about the opportunities for growth and employment in the High North. The nominee is innovative and uses innovative methods to create multilateral cooperation in the High North. The nominee’s contribution is internationally oriented while also having significant local impact. The nominee contributes significantly to the promotion of the High North, nationally as well as internationally. 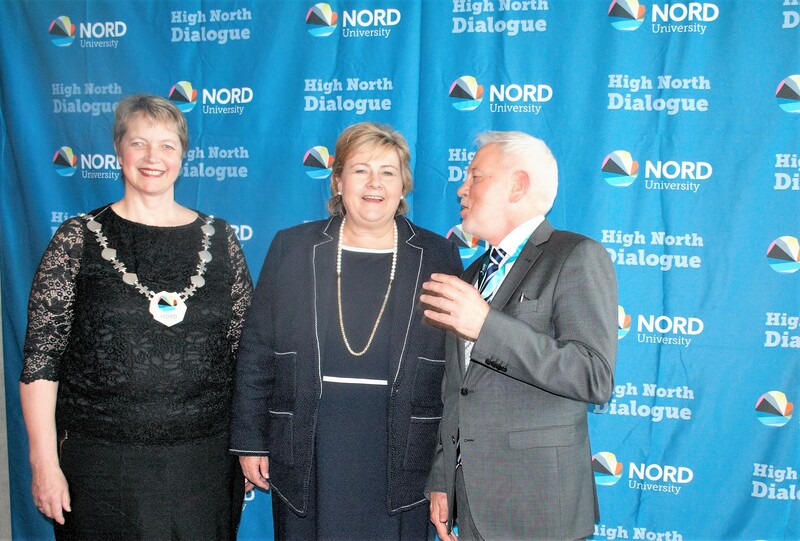 An international committee will decide and announce the winner during the High North Dialogue conference March 18-19 in Bodø, Norway.